Beauty products are not just for women and our MP3 knows how to take care of gents! The MP3 brand has been in the spotlight at the end of Ramadan and has taken advantage of the Summer period with a brilliant offer for Kuwaiti consumers: get a free deodorant with every purchase of MP3 hair gel! 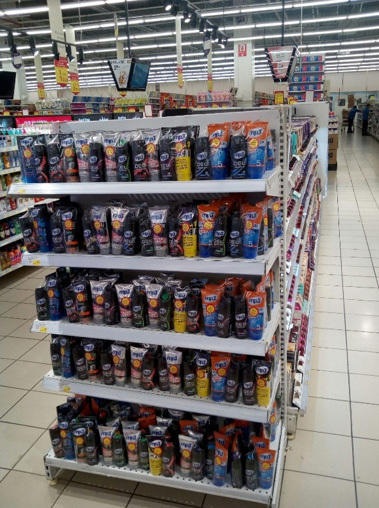 It’s an opportunity for customers of Carrefour stores to restock their wash bags before their holidays. It is a campaign that is always successful and helps us to build loyalty among existing customers and attract new ones. Performance, quality and price are the MP3 brand’s core values! Thanks to all of our partners who play an active part in the reach and vitality of our brands on the Kuwaiti market. Find all our Oé and MP3 ranges at the Carrefour, Coop and Lulu stores, and, soon on sale at the local Sultan Center.